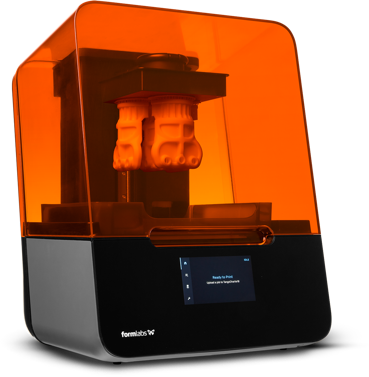 Formlabs 3D printers are designed to help you excel in your industry, bringing the power of advanced stereolithography to your desktop at a fraction of the cost of service bureaus or industrial SLA printers. Reliably integrate 3D printing into your workflow. Rapidly create look-and-feel prototypes with a range of materials. Create custom jigs, fixtures, and tools for small-batch manufacturing in a fraction of the time and cost of traditional methods. Test hypotheses quickly and easily and integrate affordable, detailed models into curriculum. Capture fine details in high resolution, even with miniatures. Create exhibition-quality parts with an easy-to-use machine. Easily integrate a fully digital workflow and move directly from print to burnout and precious metal casting. Show clients results before investing time in final pieces. 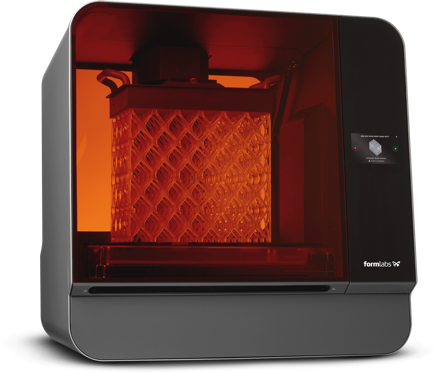 The Form 2 makes high precision 3D printing affordable for dental businesses of all sizes, for scalable production and a fast return on investment. Print dental models, surgical guides, splints, retainers, and more. Wondering how a 3D printer can help you with your work? Get a consultation from an expert.